Are you the girl next door adorable or a drop dead gorgeous prince? Where good style meets a bad attitude! 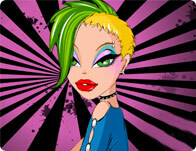 From the Gwen Stefani world of harajuku lovers comes this magical harajuku love dressup game! You don't have to wait for midnight for the fireworks to begin! 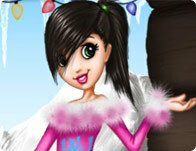 Dress up and start off the New Year in style! Go for a weekend walk in Denver or the Mile High city as we know it! Pick a puppy and cute outfit to go with it! Look great and keep swimmers safe! This pizzeria makes a delicious pizza. Help this friendly waitress dress up and make all the customers feel welcome! Two kids... too cute! These kids need some attention and changing the way they look would be a good place to start. Dress each of them up and make sure they look way too cute together! 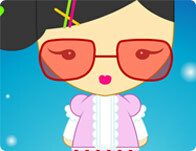 Dress up this doll and tour historical and stunning Egypt! It is blond all the way for this gorgeous gal! Get dressed in cool urban style. You'll need to use all your fashion sense and skills to come up with a look that is truly special! Enjoy this beautiful day out with this girl who is eager to just sit on the grass, enjoy the sun, and have a wonderful picnic!